Rhythmbox, Ubuntu’s default music player, has reached the 3.3 release recently. It brings new plugin supporting Android devices via gvfs-mtp. Encoding settings are now configurable per device type, and it can force lossless files to be transcoded. David mohammed, a Rhythmbox plugin developer, has made the new release into PPA, available for Ubuntu 15.10, Ubuntu 15.04, Ubuntu 14.04 and their derivatives. Hi Ji m. I’m so grateful with your huge help. 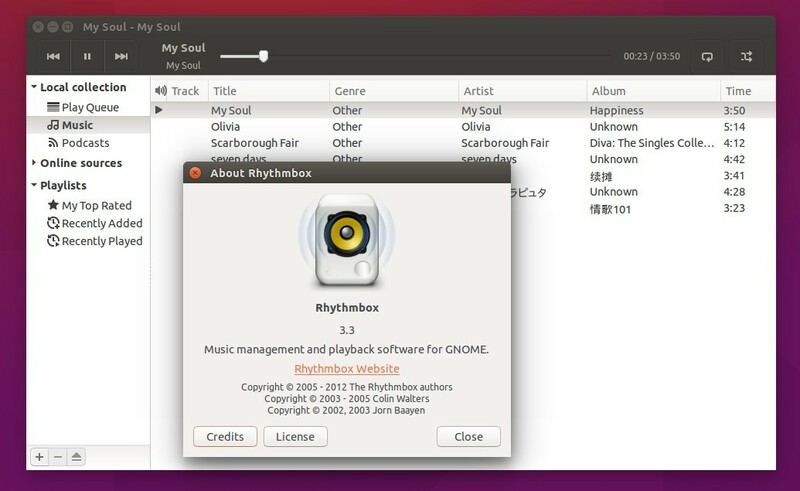 Now I have Rhythmbox update and it works great using Ubuntu 14.04.4LTS amd64.